In June 2007, I was not aware of an Investools scam. In fact I do not even recall being familiar with Investools investor education. At that time, I attended a four day investor workshop. During one of the sessions, an Investools trading coach presented their introductory stock and option trading talk. The talk was interesting and at the time they were concentrating on increasing your account by about 3% a month which does not sound like much but at the end of the year, if successful, would lead to a 36% gain. After listening to the Investools investor education seminar, we were given an option to attend a full two day workshop in town which included six months of web access for about $2,000. Upon hearing the price and knowing that there are other less expensive ways to learn to trade I passed on the offer but I was interested. I was also pretty sure that the $2,000 weekend course did not meet my criteria for a good trading system and was thinking if this was an Investools scam. At that time, I did a bit of searching on the internet and came across a number of websites containing reviews of Investools which detail various Investools scams. While I will go over a number of them at the end, I think the main one of interest to most people is the question regarding does Invest tools work or is it a rip off. Essentially what many of these websites describe is the high pressure sales tactics the Investools coaches use to up sale you during their two day introductory seminar. There are three advanced programs offered by Investools – the Associate, Masters and PhD. The seminar costs of the Associate, Masters and PhD programs are approximately $5,000, $12,000 and $24,000. The various programs within each of these levels last between 6 to 9 months, 12 to 18 months and 12 to 24 months respectively. For the most part the reported, Investools scam involves people who have purchased these advanced courses and feel they did not get their moneys worth. For instance, much of the information regarding achieving success which is available in the Investools course manuals are provide in stock trading books and magazines for a fraction of the cost and I think many consider this to be part of the Investools scam. While the content is similar it is never the same but when you just compare the Investools cost to that of say ten good books or a magazine subscription I think most people would just read the books. However, it is not necessarily the cost of the course material which is important; it is the cost of the system. At the time even though my trading was not going quite as well as I would have liked I did not feel that the weekend seminar was what I was looking for because it did not appear to offer a good educational system. So what was I looking for? From an educational stand point, what do I think makes a good trading system? From reading and attending educational seminars, there are four areas that need to be examined in order to have a good trading system. If any one of these four parts is missing, there is a high probability of failure. First, I wanted a product/system/method that I believed in and fit my personality. In this case, the Investools stock trading system is the product. At the basic level, this is the three green arrows trend following system as taught in the introductory course. Next you need to receive the education. I figured I would get a bit of this by attending the two day introductory course, by reading the course manuals and completing the online course. You also need support and I think this is where the basic weekend stock trading seminar falls short. If you do not sign up for one of the advanced courses, your support is the website and you are required to extract all the support you need out of it. If however, you sign up for the least expensive advanced course, as I eventually did, you now get one on one coaching as well as the ability to watch hours of trading room videos. This level of coaching I feel is quite important in order to advance your trading. Finally, the last part of a good trading system is you. You, the soon to be great trader needs to be ready mentally and emotionally. 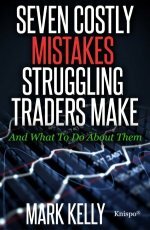 I believe that if any one of these key areas are missing you are wasting your money if you think just going to a seminar is going to turn you into a great trader. It does not matter if it is an Investools seminar or other program if you are not ready you should wait until you are. There are likely people who have done it on their own but I suspect most do not succeed. I think not realizing this is where most of the discussion around the Investools scam comes from. In September 2007, the Freedom Investment Club, of which I am a member obtained for its members six months of Investools website use and access to a weekend stock trading workshop for free. Since free is much better than $2,000 I jumped at the chance. Thus, in October 2007 I attended my first two day Investools trading workshop. This was followed up by a 2nd two day workshop on Becoming an Investor in April 2008 which I received as a bonus for renewing my subscription to the Investools website. As discussed in many of the Investools scam websites which I read, the two day seminars which Investools offers is a mixture of trading education and sales pitch. I do not like to use the term high pressure because this makes me think that there is someone standing at the door who will not let you out of the seminar room unless you give ten reasons why you do not want the advanced training and this is not the case. In the two seminars which I attended no one tracked me down or even approached me to question what my plans where. These perceived high pressure sales tactics are generally discussed in the Investools scam reports I have read. I would say the coaches give many examples of great trades done using the advanced trading techniques used by Investools and offered to their Masters and PhD students. By repeatedly giving these types of examples you start to think that you need this type of education and this is what many people consider high pressure sales tactics. During the first day of the seminar I picked up some useful information but not really enough to consider signing up for one of the advanced courses although there were many around me who were signing up. I found it interesting that people who did not know how to trade were willing to spend approximately $12,000 and 24,000 for the Masters and PhD programs instead of testing the waters with the $5,000 Associate program. At the end of the first day of the seminar I was not really interested in going forward. One of the learning’s I have picked up over the years is if you do what successful people do you will be successful. Thus, if people are making money by following the three green arrow trend following system you will make money following this system. However, you have to follow the system, and this is one of the most difficult things to do in trading. Being disciplined is extremely difficult to do. This is where I have most of my problems. While Investools can provide you with a workable system, they cannot get you to follow it. Hence the Investools scam. During the last break of the second day I started to think that if I did not do something I would continue down the path I have been traveling for years. That is obtaining mediocre trading results. I wanted more. The one on one coaching was what I wanted and the best way to get this was with the Associate program. One on one coaching can be quite expensive. Some of the trainers I have worked with cost over $200 per hour so I decided to give the Associate program a try. I figured if it worked out I could use the money to go to the next level and if it did not the cost of the program would be paid for if I just made a few less mistakes. As I sat in the seminar, I remembered what I had read about the Investools scam and felt quite comfortable with the Associate membership. My reasoning is this. If I could not improve my trading at this level I would likely not improve it by signing up for the Masters or PhD programs. During the ensuing months, I witnessed so many trades which made major advances that I knew I had made the correct choice. However, my success was not that great after being in the program for the first five and a half months. At the end of about 5.5 months in the program my gains did not match the type of results I was expecting or that which was hinted at during the seminar. Was the Investools scam for real? But after putting in one month of strong effort talking to the coaches, reviewing the manual and watching the trading rooms on a daily basis, I had a breakthrough that put everything in its place. I am now trading with more confidence and direction than I have before and am on my way to making enough money to cover the Associate course. But to reach this level, it took a lot of work – at least one hour per day if not two and dedication. Also, discipline on my part which I still find difficult to maintain. I still make trades which I should not make, even though I know I am not following my trading plan. Does this mean that the Investools program is a scam? No, I do not think so. Like all programs, they make you an offer and you can determine if it aligns with your goals. However, both now and at the time of the introductory seminar, I am unclear why anyone would jump in at the Masters and PhD level without first taking the Associate course. These courses take a lot of time and work. This is true if you want to be good at anything. I do not know of too many people who became successful without putting in time and effort. My personal opinion is that if you cannot succeed at the Associate level you will not succeed at the Masters and PhD level. This is why I chose the Associate level. If in the future, my winnings increase and I find some more time to continue my education I would be interested in taking the Masters and PhD programs. However, I have seen some amazing gains just by using the information obtained at the Associate level and am unsure at this stage if I need to go further. If people did pay for these advanced courses and did not succeed, I can see why they would believe that there is an Investools scam. Getting back to the Investools scam. The websites which I reviewed were written by two types of people. Those who found the cost of the course outrageous and who did not sign up for one of the advanced courses and those who signed up for one of the advanced courses and did not achieve the results they were expecting. For those that ran at the cost what can I say other than they were likely not ready to move to the next level. For those that took the course and did not succeed it is difficult to know exactly what part of the system broke down but my guess is it was the trader/system match. From many of the courses I have taken only about 10% of the people who take a course actually use the material to move forward. The rest get some information, discard the rest and continue looking for the Holy Grail. So is there an Investools scam or not? Investools is a for profit company which is in the business of trading education. They do use a “hard” sell approach during their seminars and they do charge a high price for their advanced programs. However, from other seminars I have heard that if the price is too low, the participant doesn’t have enough skin in the game and therefore has little to lose by not forcing g themselves to learn. Like anything, effort is required to learn. I don’t think there is an Investools scam but you will have to decide for yourself. People selling forged copies of Investools manuals on EBay. Don’t buy copies of manuals on EBay. I read in a number of cases that years ago people who just received website access did not get access to all of the tools on the website. I do not think this is the case now but if it was this would not be a good practice. People were instructed that the first day of the two day seminar was free but if you did not return the material and returned for the 2nd day you would be charged the full seminar amount. I do not think I have attended this type of seminar but if those are the rules just follow them. Investools run programs on your computer to buy and sell stocks automatically. During the two weekend seminars I have attended I have not heard of this but I would never recommend any retail trader use such a system. People who expected to become great traders without putting in the effort. Becoming proficient at trading is just as difficult as becoming good at anything else. If you are unwilling to put in the effort you likely will not get the results. People who jump into options without understanding stocks and then wonder why they keep losing their money. I do not believe there is an Investools scam. I think the problem is that certain people perceive trading as being simple to learn and succeed at and when they fail they get angry and believe that if they failed everyone will fail. To investigate further you may want to go to the Investools.com website and see for yourself it there is an Investools scam.